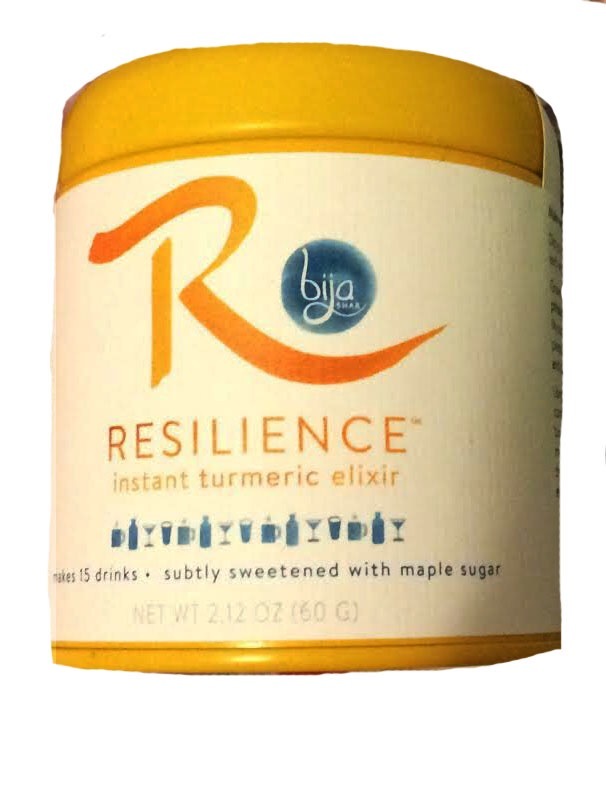 Bija Bhar’s “Resilience Instant Turmeric Elixir”: In between guests, the ABC staff poured into the Home Base bearing “turmeric lattes” – dixie cups filled with warm (sweet!) 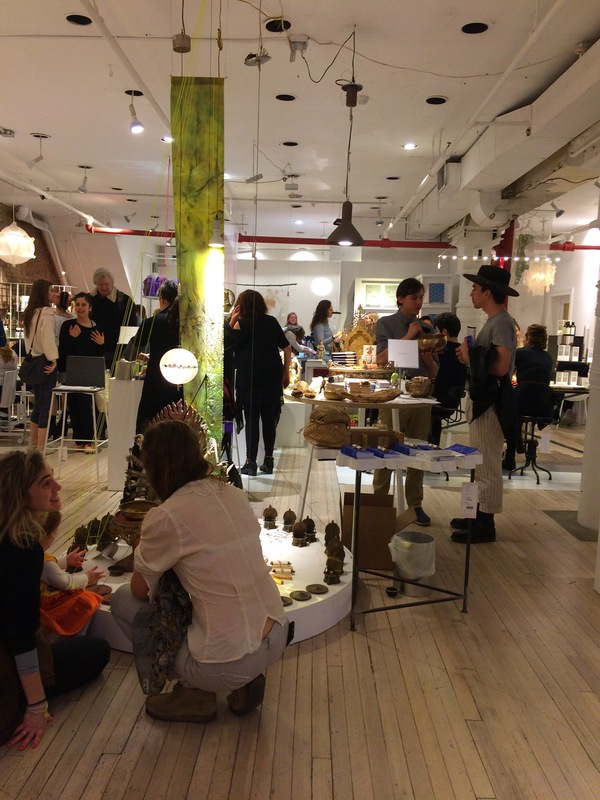 oatmilk brewed with Anjali Bhargava’s Resilience Instant Turmeric Elixir… delicious! I have been experimenting with turmeric for quite some time. It stains my fingertips and countertops yellow, adds a rather “unique” taste to anything I add it to, and has become a favorite of mine since learning about its anti-inflammatory properties in Ayurveda. I continue to search for a pleasant-tasting turmeric mix, and and have found it in this cozy elixir (#hygge in a cup). 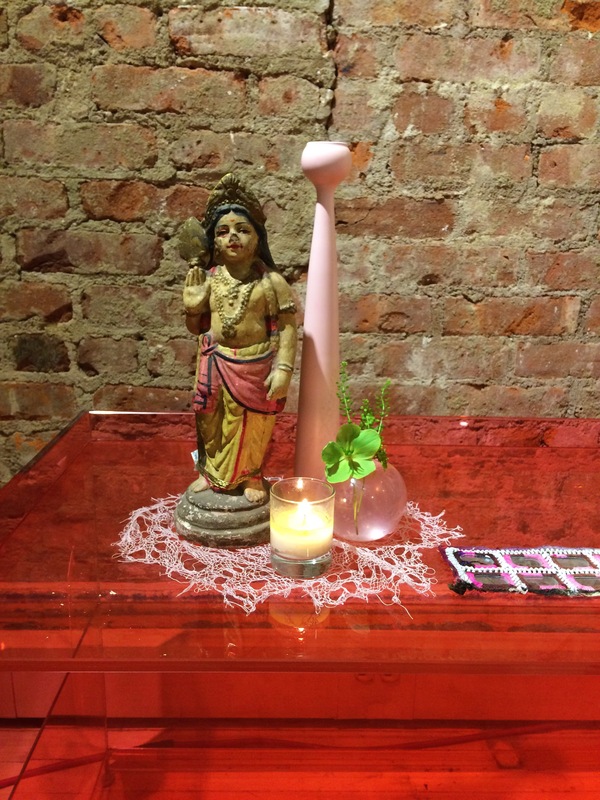 Because I left the lecture early, I was able to speak to Anjali about her elixir. She explained that the sweet taste came from the maple sugar (a natural sweetener which helps the bloodstream more quickly absorb turmeric) that she added to the yellow turmeric, white turmeric, ginger, lemon, and black pepper mixture. Did you know that in only 15 minutes of boiling, 85% of turmeric’s benefits are diminished? Neither did I! I learned from Anjali’s website that the Resilience Instant Turmeric Elixir’s bioavailability is increased by both the black pepper and the maple sugar, and is best mixed with a hot liquid. I have been making myself yummy almond milk & turmeric drinks daily. Alas – so what is turmeric good for? First and foremost, it is anti-inflammatory, which is the acute effect that I most clearly see when I am taking turmeric regularly. Furthermore, it is an Ayurvedic superfood known for its ability to reduce plaque in the brain, help the body stay hydrated, lower ldl cholesterol, and even (although I’m skeptical) act as an antidepressant due to its curcumin component. I have only been drinking the elixir for three days, so the jury is out until then. Nevertheless, Bija Bhar’s Resilience Instant Turmeric Elixir is delicious and makes a wonderful, easy golden milk to sip on throughout the day. As always, the trick is to BE CONSISTENT and time will reveal the elixir’s efficacy later on. 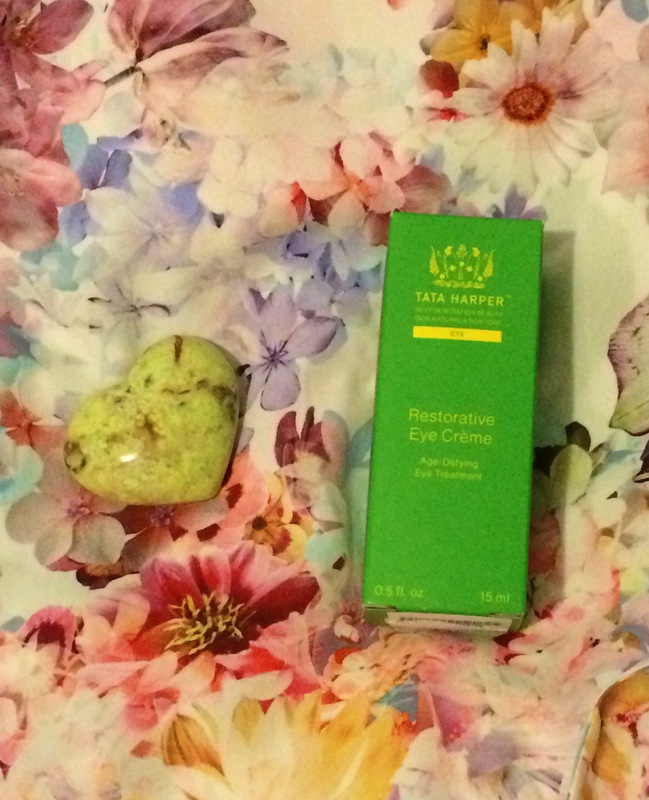 Tata Harper’s Restorative Eye Creme: The other product that I purchased, which was expensive but expected to be so, was Tata Harper’s Restorative Eye Creme. The Tata Harper booth looked more like an Avon sales meeting than a green beauty gathering, with copious chairs at the ready for a “Master Class.” I was admittedly, however, bummed out that I missed learning about one of my favorite brands due to my inevitable exhaustion. Nevertheless, I nervously requested a recommendation for an eye cream for the “very sensitive skin” under my eyes and was directed to a restorative cream. I have never found an eye cream that doesn’t sting my skin, but was assured by the sweet and glowing Tata Harper consultant that the REstorative Eye Creme was indeed gentle, and could suit my needs. I have high hopes for the “Creme Reparatrice Yeux” because I simply ADORE the brand. The cream boasts its ability to minimize the appearance of crow’s feet (and hopefully, in my case, to prevent them! ), reduce the appearance of fatigue (i.e. puffiness and dark shadows), and hydrate the under-eye area. The eye cream has a plethora of ingredients – but the first five look promising: aloe leaf (which moisturizes and reduces inflammation), water, safflower oleosomes (moisturizing emulsifiers), lavender water, and capric triglyceride (a great emollient derived from coconut oil and glycerin). The cream also contains mango seed butter, gotu kola extract, daffodil, calendula, and willow bark extract. It is assuredly natural and the floral, earthy smell lulls me into sentiments of lavender. Again, I have only been using this product for three days, but so far so good (a.k.a. no burning!). 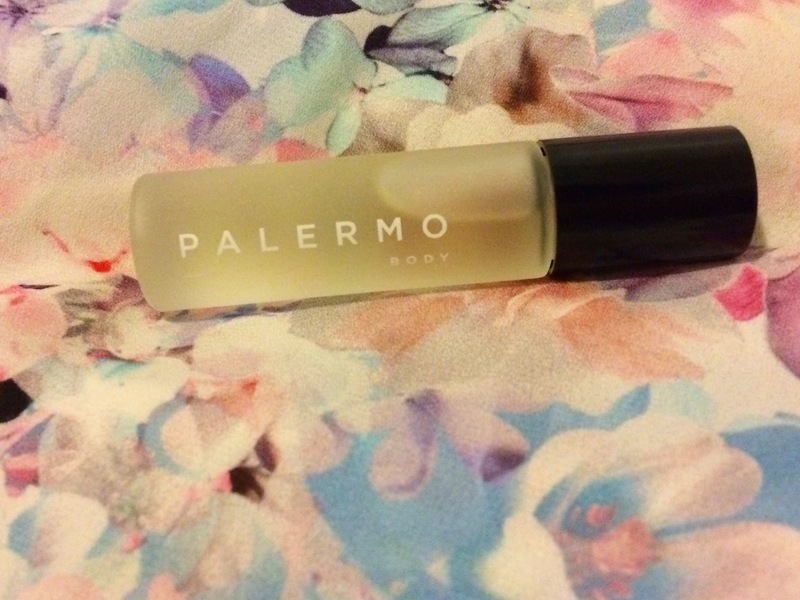 Palermo Body personalized essential oil: I was lucky enough to meet Stephanie Morelli of the Palermo soap and aromatherapy line. A fellow Sicilian, Stephanie shared with me her quandary between studying law and starting her own business, and was inspiring in deciding to start her own line. 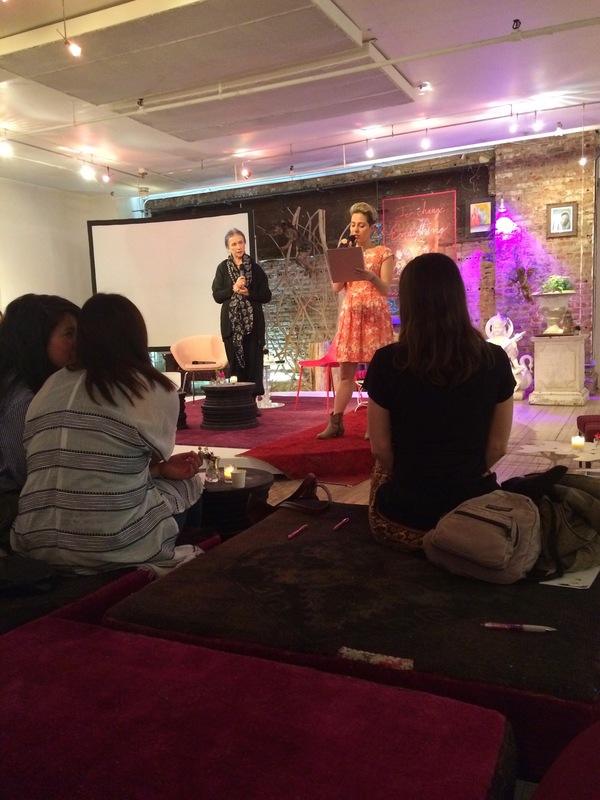 I was the first one to sign up for the personalized aromatherapy consultation, and was grateful to have Stephanie patiently explain to me which ingredients she was adding to make my own essential oil. I asked for a sleep aid that did not include lavender, and she expertly flipped through her New York Aromatherapy Institute guidebook to create an intoxicating product, which she neatly packaged into a rollerball. 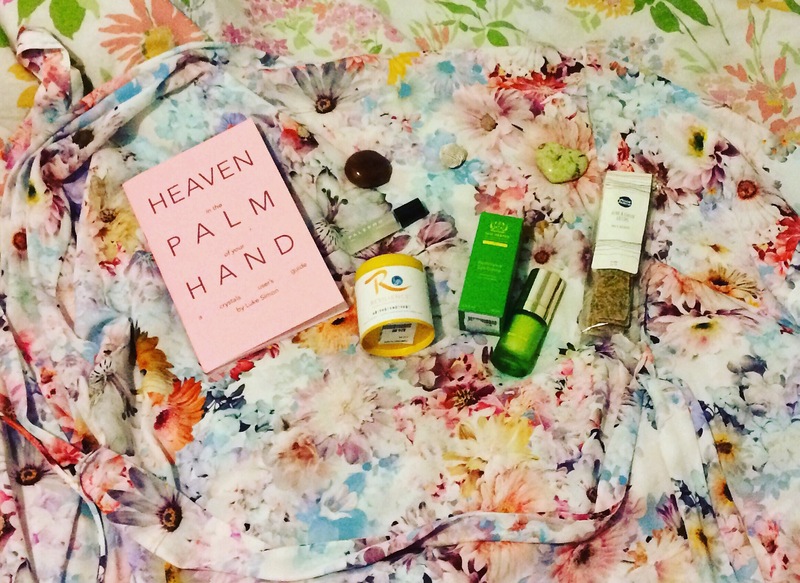 My own personal sleep formula, sans lavender, includes vetiver (which is grounding, grassy), mandarin (which induces restfulness and comfort by emulating childhood smells), rose geranium (which is one of the oldest antidepressants ever, and ylang ylang (which is confidence boosting) with a coconut oil carrier. She recommended applying it to my big toes as per reflexology’s recommendations. So far, the product has aided me in falling asleep and I would be delighted to try more of Stephanie’s aromatherapy oils and soaps. 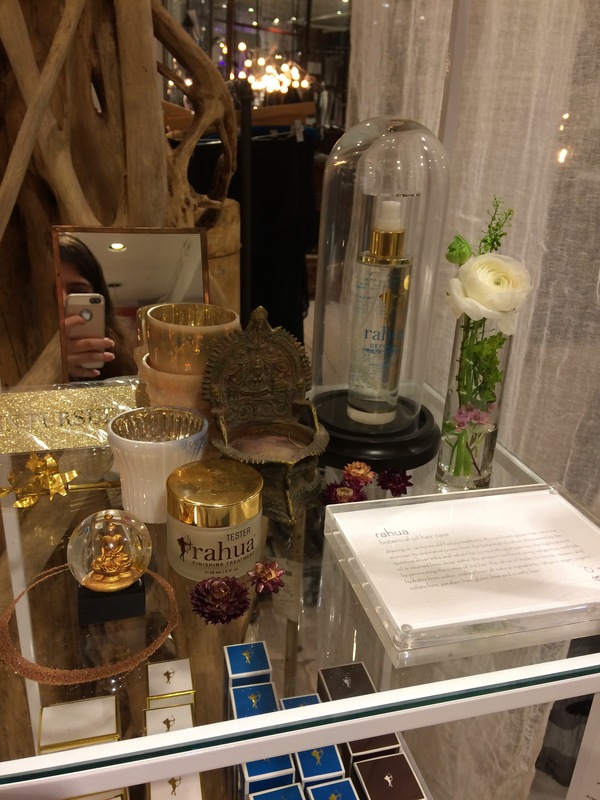 Rahua shampoo and conditioner: Unfortunately, I also missed my Rahua appointment, but was given two free samples by the enthusiastic women who were working the booth. I used them two nights ago, and they left my hair smelling WONDERFULLY and looking full as ever. 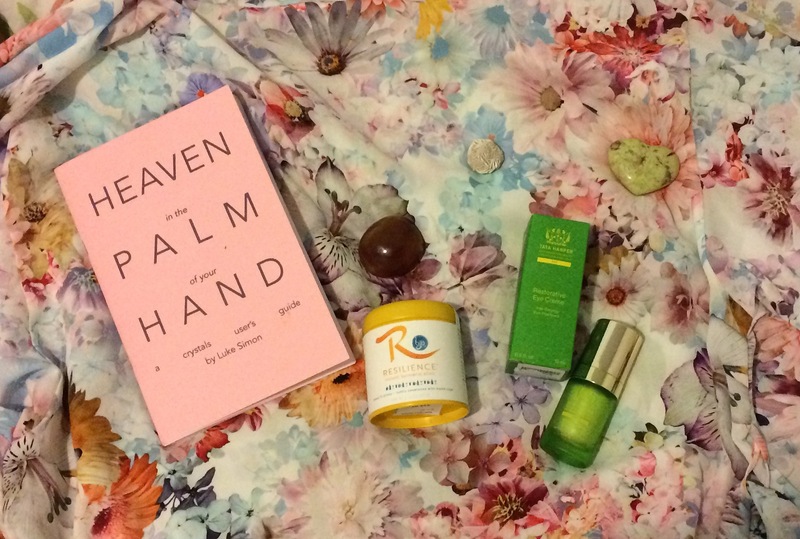 I already prefer the Rahua products to the Redken Color Extend that I am currently using. A little research into the brand has informed me that Rahua (pronounced ra-wa) is derived from sustainably sourced ingredients from the Amazon rainforest. The shampoo boasts powerful omega-9 rich rahua oil and a “sophisticated earthy aroma of palo santo.” Rahua-Ungurahua fixes damaged strands and helps repair split ends, quinoa revitalizes and promotes moisture retention, and coconut and shea butter betaines remove oil and dirt from hair follicles. The conditioner is also composed of rahua-ungurahua, palo santo, and quinoa, but also contains aloe, which “regenerates lackluster manes to renewed vibrancy.” So far, I am sold! Ultimately, I would like to transition to using only non-animal tested/vegan products, and then to only vegan products, but have been unable to find quality green makeup that has the same saturation and lasting power as non-vegan makeup.